Keep your knives in optimal shape with this diamond sharpening steel from Wusthof. 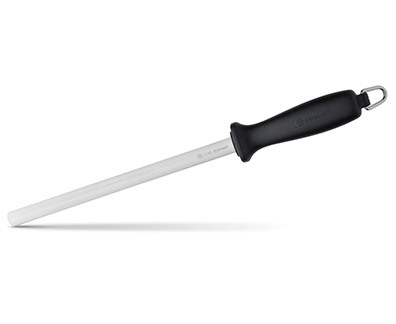 Made of stain free steel, this rod is ideal for preserving the edges of your knives. To easily store your sharpening steel, it features a loop on the end of the handle for hanging.